I’m sharing the best of New Orleans and some amazing things to see, do and eat! See more of my travel posts here. I had the wrong impression of New Orleans (or NOLA). 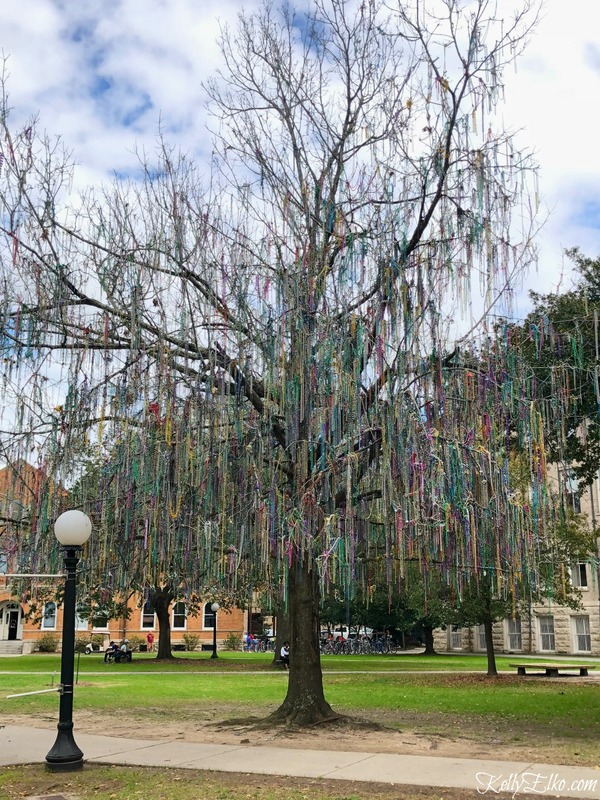 I pictured drunken fools stumbling around Bourbon Street doing anything and everything they can for a cheap strand of plastic beads. I’m eating humble pie because I just returned from the Big Easy with my family and we had an amazing time. The people are so welcoming and there is so much to do. Do you want to walk out of your hotel and be surrounded by bars and restaurants, amazing architecture and lots of tourists? Then the French Quarter is for you. Do you prefer a quieter atmosphere away from the hustle and bustle in an area surrounded by stately old homes? Then choose the Garden District. I stayed at The Pontchartrain in the Garden District. This hotel oozes charm – they even have real room keys (not those plastic key cards). Vintage paintings hang throughout the hotel and they give new meaning to the word gallery wall! The rooftop bar, Hot Tin, is a vintage lovers dream with mismatched sofas, rattan peacock chairs and amazing views. It was packed well before 5 o’clock so get there early for a pre dinner cocktail and watch the sun set. Willa Jean – AMAZING chicken sandwich that’s perfectly crispy and topped with slaw that has a bit of heat. Meril – (owned by Emeril Lagasse) in the Warehouse District. Brick walls, beautiful bar and an open kitchen makes for a very cool, vibrant (some would call it very noisy) space. We love that they serve small plates and yummy cocktails and it’s great for dinner. Cochon Butcher – super casual lunch spot/wine bar where you can grab delicious sandwiches (it’s also a butcher shop). Cafe du Monde – of course we had to get the obligatory beignets and my mouth is watering thinking about the crispy on the outside, soft on the inside puffs of fried delishishness paired with café au lait. The people watching is fun too and you can either get table service or order to go and enjoy it by the river (if you’re lucky, you’ll see a steamboat pass by). Morning Call – our Uber driver told us the locals head here. It’s right across from City Park where you pretend you’re in Venice as you glide across the water in a gondola, rent a peddle boat or simply enjoy the beautiful botanical and sculpture gardens. Note: Cafe du Monde and Morning Call are cash only and are open 24 hours! The French 75 – stop by French 75 for their signature cocktail that’s a blend of cognac, lemon, and champagne. Sazerac – the Sazarec Bar at the The Roosevelt New Orleans Hotel serves what some consider the world’s first cocktail. Hurricane – Pat O’Brien invented this colorful cocktail so stop by and get one in a souvenir glass. Bubbly – Effervescence is an upscale champagne bar that serves bubbles and small bites. 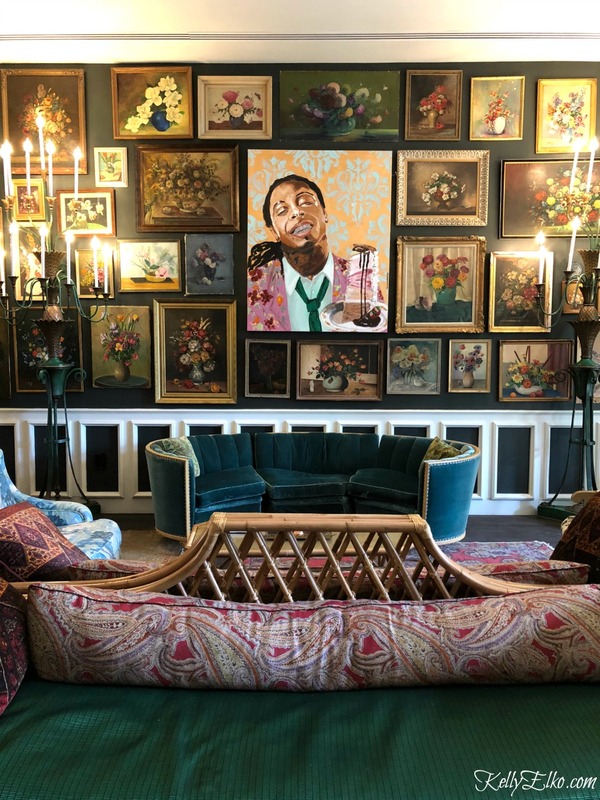 Preservation Hall – you will find live jazz everywhere you turn but don’t miss taking in a performance at Preservation Hall where all ages are welcome. Get there early if you want a good seat or pay extra when you reserve seats online. 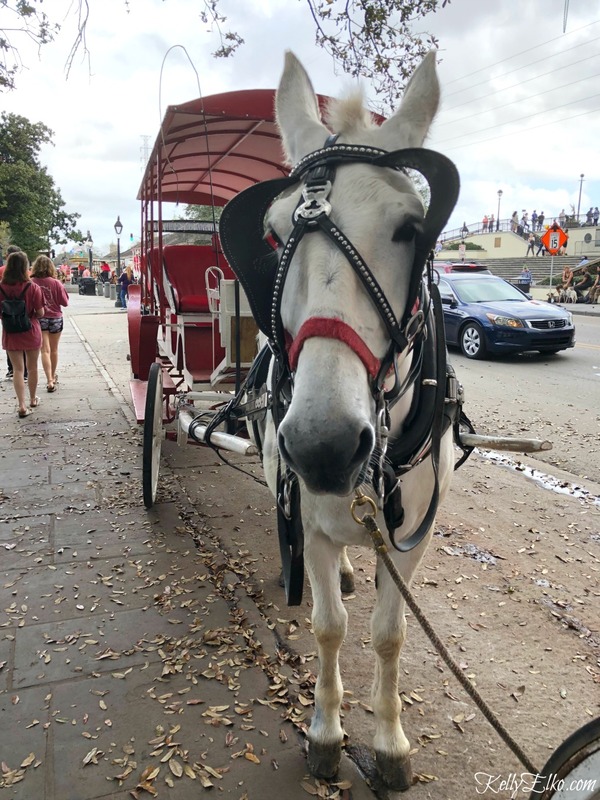 Cable Car – hop on the St. Charles Street line which will take you from the French Quarter all the way up to Audubon Park and Zoo / Tulane University area (with many stops in between). 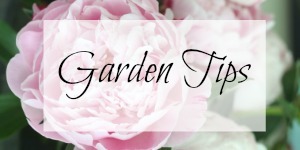 It’s fun to ride and see the beautiful mansions in the Garden District but make sure you have cash ($1.25 each way per person – EXACT CHANGE please). It’s a great way to acclimate yourself to the city when you first arrive. Magazine Street – 6 miles of boutiques, restaurants, antique and gift shops mixed with homes that stretches from the edge of the French Quarter all the way to the Audubon Zoo. I focused on the area near the Whole Foods (housed in a former streetcar barn!). Frenchman Street – no gaudy neon signs like on Bourbon Street but some of the best jazz, blues and reggae at the clubs that line this street. Walk around and pop into different clubs, grab a bite to eat, then stop by the late night Frenchman Art Market to take home a one of a kind souvenir. 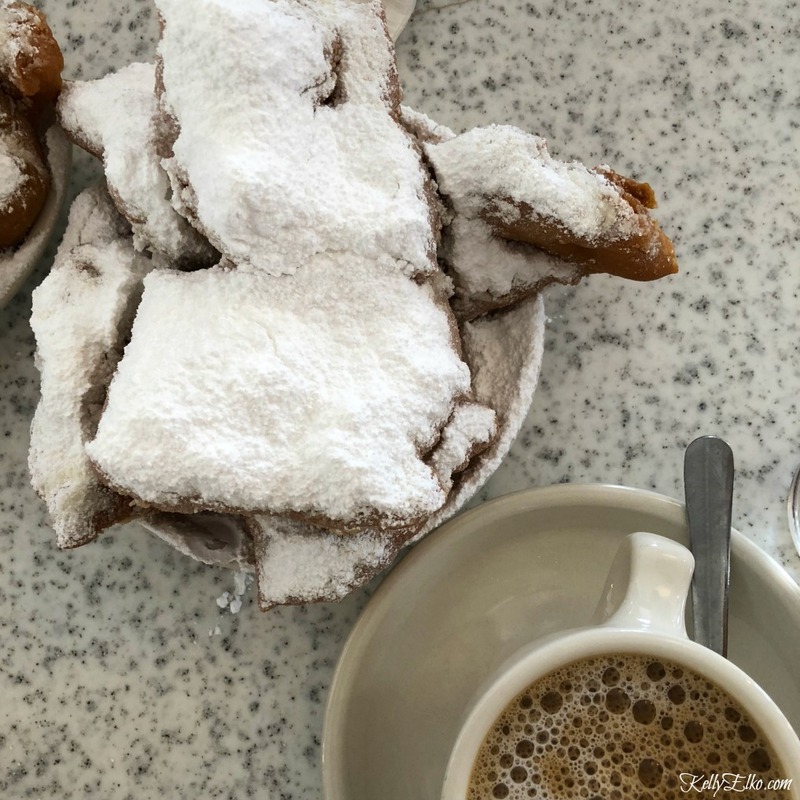 Jackson Square – see the stunning St. Louis Cathedral and check out the street performers and open air market (across the street from Cafe du Monde). Hop on a horse drawn carriage if you wish. City Park / Sculpture Garden – grab a beignet at Morning Call and enjoy it while strolling among the art or riding in a gondola. Audubon Park and Zoo – stroll among the towering live oaks and enjoy the animals (there is even a rare white gator). 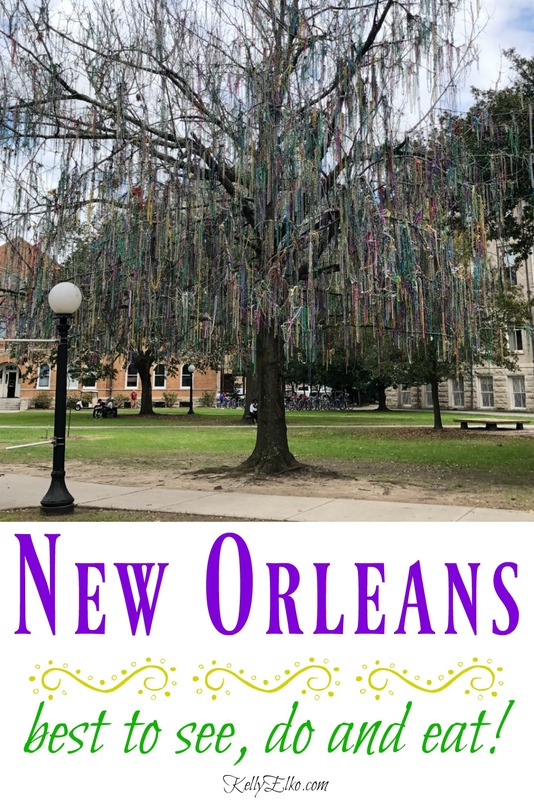 Tulane and Loyola Universities – stroll around the campus and enjoy the amazing architecture and the bead tree at Tulane. Across the street is Audubon Park and Zoo. WWII Museum / Confederate Memorial Hall Museum – We didn’t have time to go here but our Uber driver (a Vietnam Vet) raved about it. There is also a smaller Civil War Museum (open since 1891) across the street that’s housed in a beautiful old building. Cemetery Tours – Because New Orleans is below sea level, tombs are above ground and the cemeteries are something to behold. Because of vandalism, you can only enter with a tour group. Get New Orleans tour info here. I can’t wait to return to NOLA! What are your favorite best of New Orleans things to do? How fun Eileen! Maybe I need to make this an annual thing too and Jazz Fest sounds like so much fun! It’s on my list, my grandchildren went a few years ago and my son said it was a great place, but i too thought the same thing you did. Thanks for all this info and have a great day. Marlene – we took our girls and they really like it too! Have a hurricane or two and think of me! Our daughter and family have lived in New Orleans for 16 years and they love it. We go there as often as we can to visit and see our granddaughters Terralyn and Tabitha. New Orleans is unlike any place you will ever go as it takes you back to a different time. You can smell the jasmine in just about every courtyard tucked into beautiful little gardens all over the city. People have the wrong idea when they think about Bourbon Street. It is filled with small restaurants and shops and friendly people. The food is wonderful and there is so much to do. The WWll Museum is an excellent source of history and you feel like you are flying over the land observing the actual scenery and events. The Garden District is beautiful with the older homes and palm trees. The French Quarter is a must place to go. Go back and enjoy! 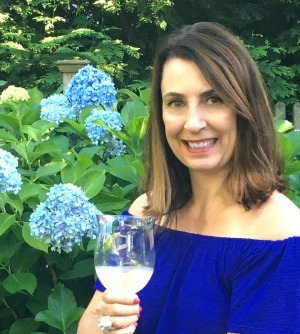 Lynn – I just got back from another trip to NOLA and had such a great time! Stayed a bit longer so was able to take in some new sights and more great restaurants. I really love that city and the smell of jasmine!